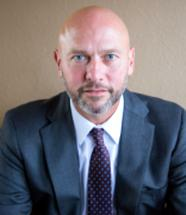 Steve Harkins began his first week at the Kyle Law Firm defending a DWI case with Matt. He hasn't slowed down since. Clients realize quickly that Steve knows the criminal law system inside and out. He is board-certified in criminal law, and joined the firm following nearly a decade as a felony prosecutor. With over 100 jury trials under his belt, Mr. Harkins understands how Texas prosecutors and law enforcement evaluate cases, giving the Kyle Law Firm clients a critical edge in a process that always seems stacked against them. DWI, drug cases, assaults, thefts, probation violations and more - Mr. Harkins has handled them all. He is not afraid to tackle your case. Bring it on.